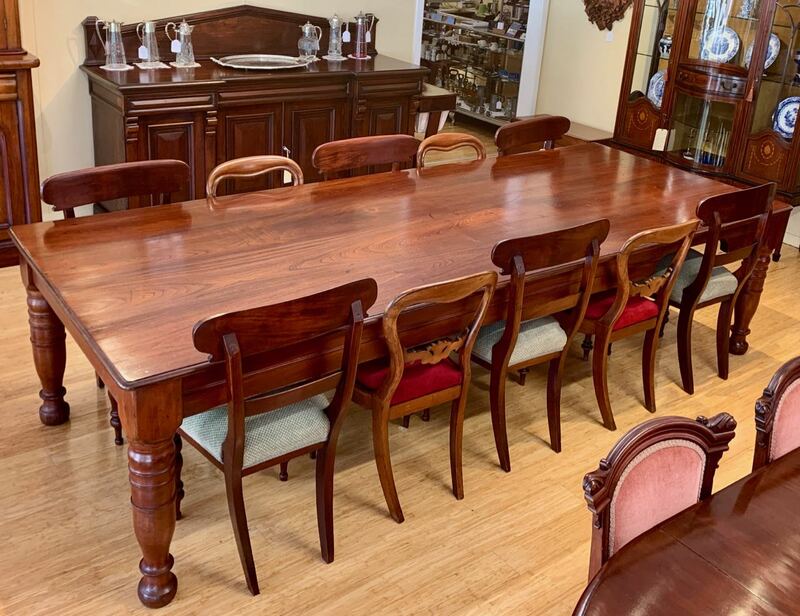 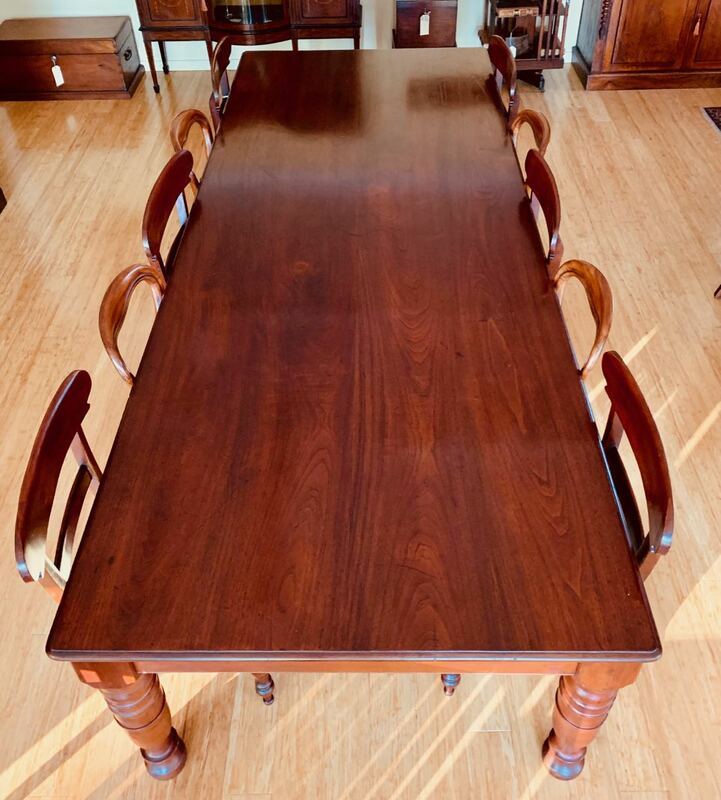 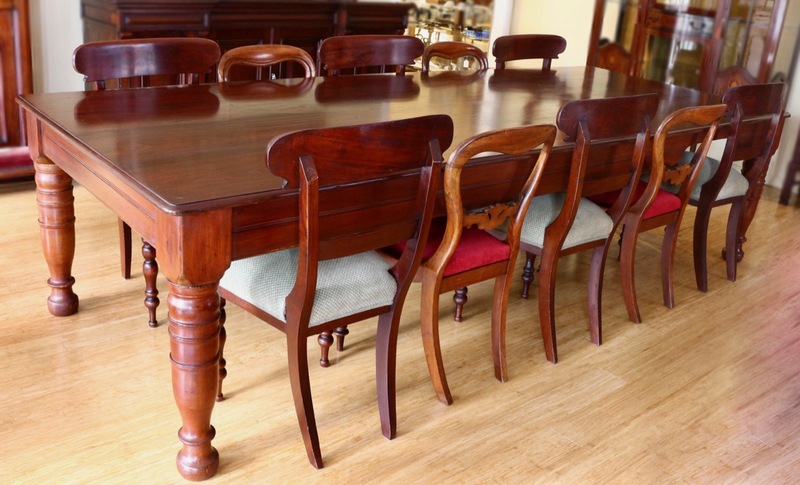 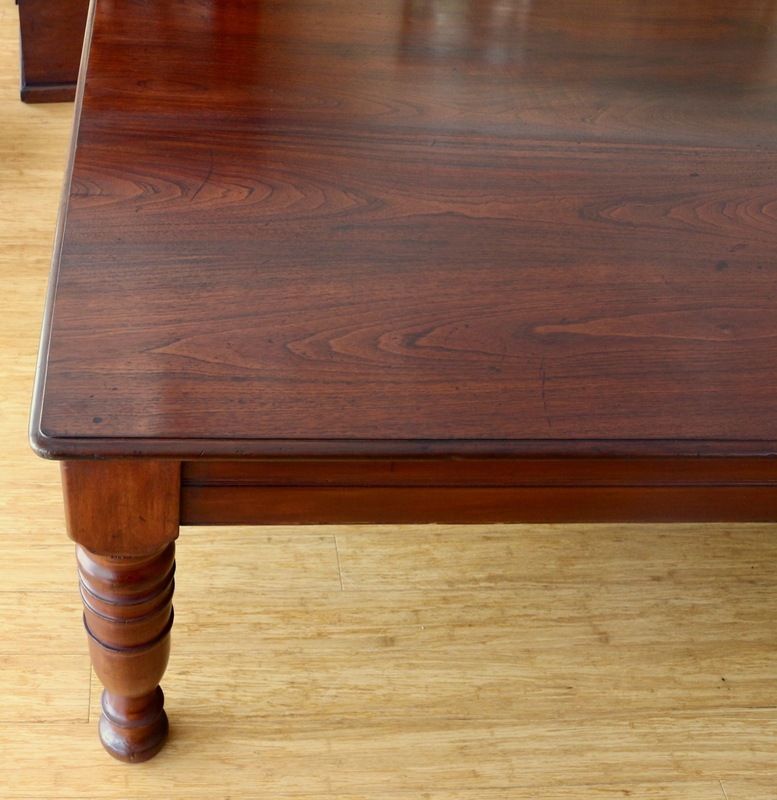 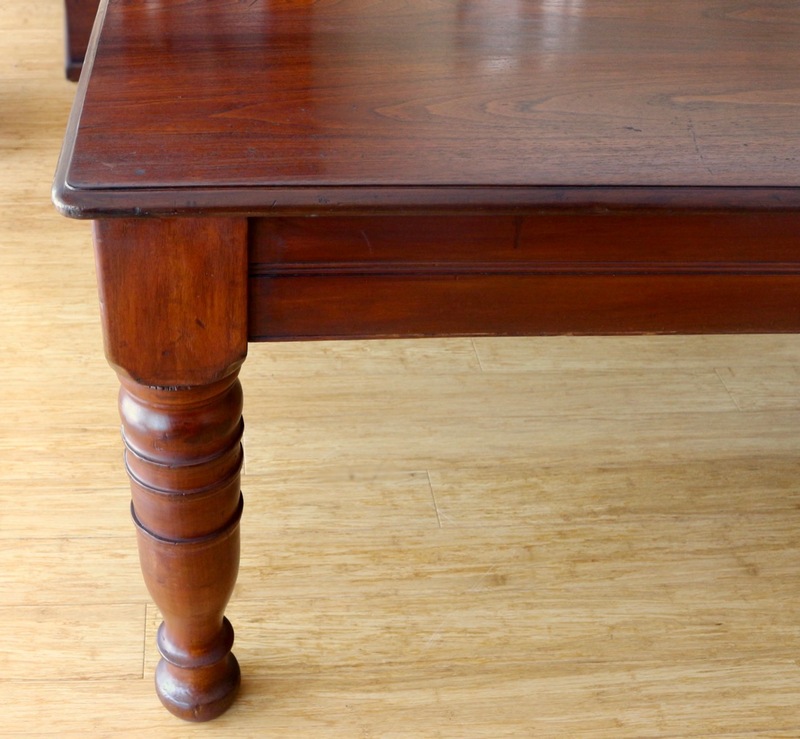 Large antique Australian Cedar Farmhouse Table, to seat twelve, resting on four turned legs, and featuring highly figured cedar to table surface. 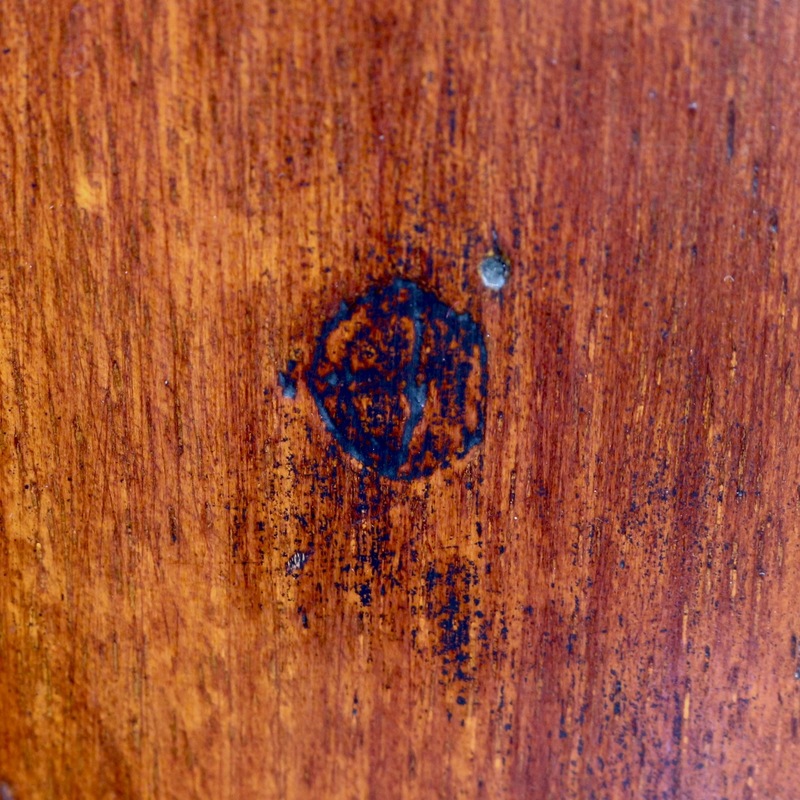 Old government crown stamp to top of one leg - originally made for a govt department. 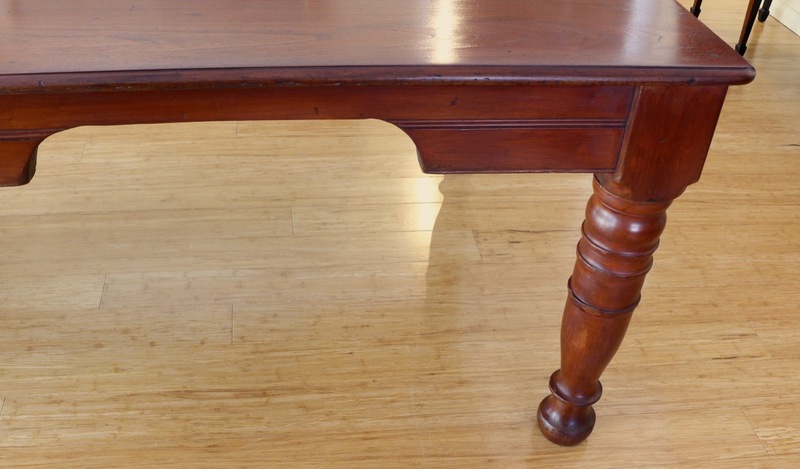 height from floor to underside of skirt - 59cm.